a non-drip paint can save time and hassle. Silk emulsion has a shiny finish, reflects the light and can be washed - so useful for areas such as halls and staircases. Gloss and semi-gloss finish paints provide a resilient and robust surface for busy areas of the home, such as children's bed and playrooms where regular cleaning is expected. For kitchens, bathrooms and laundry or utility rooms, a special emulsion formula that is durable and mildew-resistant is ideal for these areas where high humidity is likely. Low-sheen paint finishes are frequently used for more formal, quieter areas like the dining room, adult bedrooms and front rooms, and where the light matt effect offers a more subdued setting. As with many aspects of DIY, preparation is central to a good end result in any room. It is crucial to clean and remove all dirt and loose material from surfaces to be decorated, and also repair any faults and imperfections before getting out the paint brushes. Although this part of the work can be tiring and time consuming, it is essential to the perfect outcome, so take case to wash down, sand and dust. Paint prices vary greatly, dependant on size, brand, finish, components and even the colour. Generally - and happily - the price difference between safe, solvent-free paints and standard traditional varieties is very little. 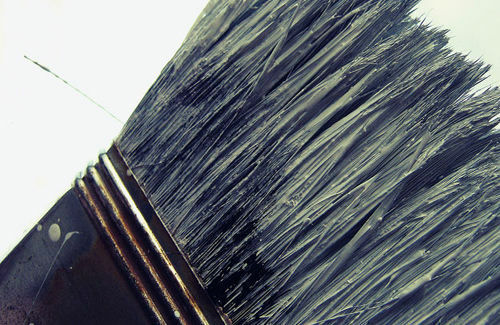 However, primers, undercoat and specialist varieties tend to be more expensive than standard emulsions and glosses. In fact, a five litre pot of emulsion can be picked up for as little as £8.99 these days. But, as with all purchases for the home, sometimes spending a little extra for a superior product can pay dividends in the quality and lifespan of the end result. With a heritage dating back to 1773, The Little Greene Paint Company specialises in paints of the highest quality, expertly designed to suit both contemporary and classical homes. Farrow & Ball can supply authentic historic and contemporary colours in finishes for surfaces indoors and out. Dulux offer inspiration and advice, useful visualisation alongside a fantastic range of colours and varieties of paint. The Real Paint & Varnish Company manufactures protective, durable and beautiful finishes of the past, using traditional ingredients and production methods. Centurion Paints offer a range of quality paint finishes developed by experts with years of experience in formulating specialist surface coatings. The Paint Quality Institute was founded in 1989 in the USA to educate people on the advantages of using high quality interior and exterior paints and coatings, but has now expanded worldwide. The Painting and Decorating Association (PDA) represents thousands of painters and decorators across the UK, who are fully qualified and insured. Community RePaint is a UK-wide network of paint re-use schemes, accepting leftover paints from householders as well as end-of-line paints from the trade, for redistribution to charities, community and voluntary groups. The British Coatings Federation has a great product finder on their extensive website if you are looking for a supplier of a particular type of paint, coating or wallcovering.